Australia, 19 August 2015 – Location data-driven advertising solutions provider, BlisMedia, is on a rapid growth curve and driving regional expansion with the appointment of three key senior hires and launch of two new offices across Australia and New Zealand. 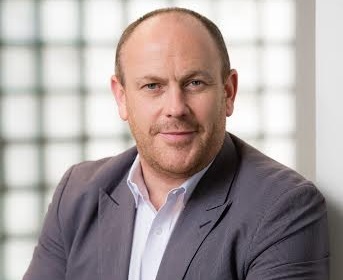 Fuelled by a strong local market response to its proprietary technology that serves display ads using highly accurate location targeting and behavioural insights, BlisMedia has added Melbourne and Auckland offices that will operate under the regional leadership of Sydney-based Managing Director Nick Ballard. The new outposts will be led by David Cornford and Tim Richards respectively with both named as Regional Managers and tasked with building the business in their local markets. To spearhead this growth, Rupert Pay has been appointed as Vice-President, Asia Pacific, and will be responsible for developing agency relationships across the region. Pay is a key leadership hire for the company and will be based out of Sydney. He brings more than 18 years’ experience in digital marketing to the table, having held senior roles with agencies and media owners across Australia and the UK, most recently as Head of Client Services at InMobi across Australia and New Zealand. “Blis’ solutions offer unrivalled location-accuracy so the company is well placed to meet the growing demand for mobile marketing globally. It’s this proprietary technology that attracted me to the company and I truly believe the offering is best in breed,” he said. “As we strengthen our presence across the region, we are confident that we have both the offering and the talent in place to significantly grow the business,” said Dewhirst. With a Hong Kong office set to launch, BlisMedia will soon have seven offices around the world including London, Singapore, Dubai, Sydney, Melbourne and Auckland. Established in 2004, BlisMedia is a global advertising technology company, headquartered in London. It uses location and demographic data to define digital audiences and is renowned for its proprietary, industry-leading platforms that serve digital content to people on the move across mobile devices. BlisMedia works with media buying agencies acting on behalf of the world’s largest brands, and partners with data owners that provide accurate information to allow precise targeting. These partners include the leading Wi-Fi networks as well as the Supply Side Platforms (SSPs) that provide the inventory for bidding in real-time. The company is a member of the IAB leadership council and is backed by three of the best Media and technology VCs in the UK. For more information, visit www.blismedia.com.